A strange unidentified flying object (UFO) with glowing lights was apparently spotted in the skies of Chile recently, and it has made many to believe that alien life is a reality. The video of the bizarre event gained public attention after it was shared by popular conspiracy theory YouTube channel 'Mavi777'. In the video, a saucer-shaped UFO was seen hovering across the night skies, and it emanated bright lights from its body. Interestingly, the UFO spotted seemed very similar to that of the flying objects which people have seen in Hollywood sci-fi films like Independence Day and Mars Attack. 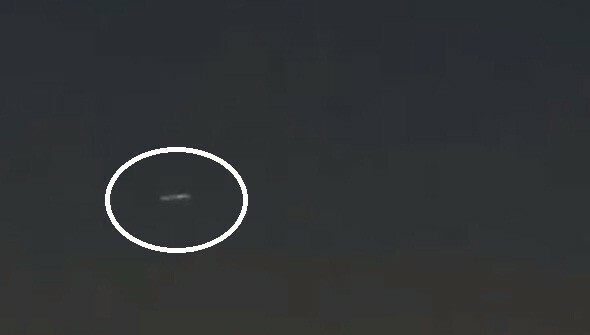 Adding authenticity to the clip, an eyewitness, most probably a kid below the age of 10 was seen waving hands after witnessing the strange object in the skies. The video uploaded by Mavi777 soon went viral on online spaces, and many people started arguing that this sighting is an irrefutable proof of alien existence. As per these alien buffs, extraterrestrial beings from advanced civilizations have been visiting the earth for hundreds of thousands of years, and they made it clear that governments all across the world are well aware of its existence. In the meantime, a section of conspiracy theorists has started claiming that these unidentified crafts might actually be secret military vessels developed by world powers. These theorists believe that world powers like the United States and Russia are using these secret spacecraft to spy other countries. Just a day ago, a British pilot reported to the Irish Aviation Authority that she spotted a bizarre UFO while onboard the flight from Montreal to Heathrow. The pilot revealed that the unidentified object was moving at a very high speed, and added that it had emanating lights on its body. Another pilot who witnessed the strange sighting argued that the UFO was traveling at twice the speed of sound.